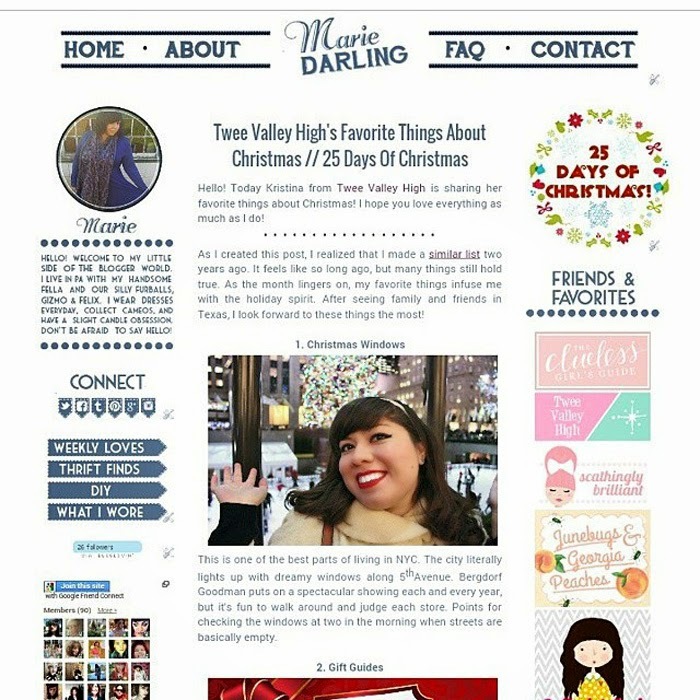 Head to my friend and sponsor's blog Marie Darling for a post on my favorite things about Christmas! She's doing a wonderful series of 25 Days of Christmas and I contributed a little something. Hope you enjoy!